Mom's are always so busy juggling children, house, activities for the kids, homeschooling and more. Seems like I always have a few irons in every fire so to speak with it comes to multitasking and keeping track of daily life at our house. 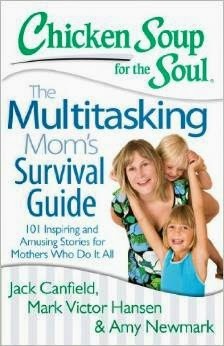 This book is a great addition to the Chicken Soup for the Soul series and is perfect for every mom. I love reading the quick stories in this book and they are perfect for a busy mom to pick up and read when she has a minute.